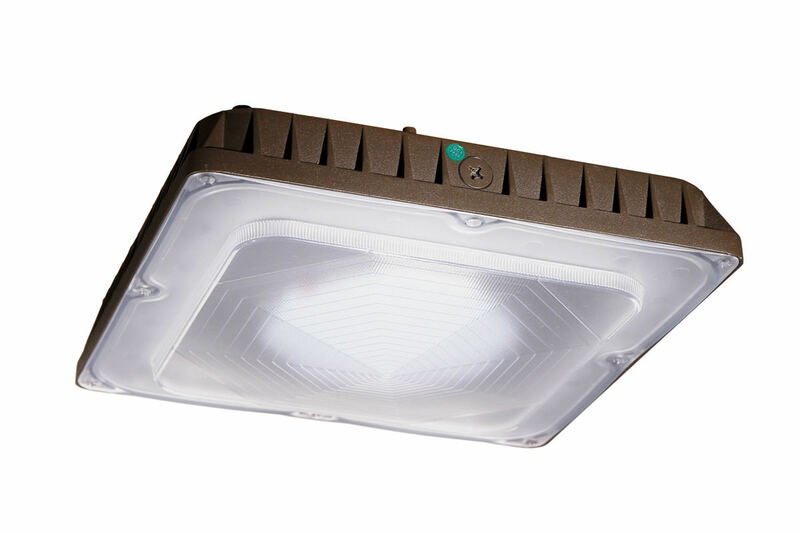 Modern and long-lasting, the BAS Canopy Series is a dependable option for new projects, or a sharp replacement for 70-watt to 200-watt HID fixtures in retrofit jobs. A quick-mount plate provides easy installation to a junction box in wet or dry areas, while durable housing and reliable lumen outputs make the BAS Canopy Series an excellent fit for outdoor walkways, recreation spots and parking areas in need of routine illumination. Rugged and durable aluminum housing provides superior light protection in any weather — come hell or high water. Sealed to defend against moisture, dirt and creepy crawlies. Dapper dark bronze finish camouflages wear and tear. A kickass polycarbonate lens eliminates risk of shattered glass. Junction-box mounting plate is standard. 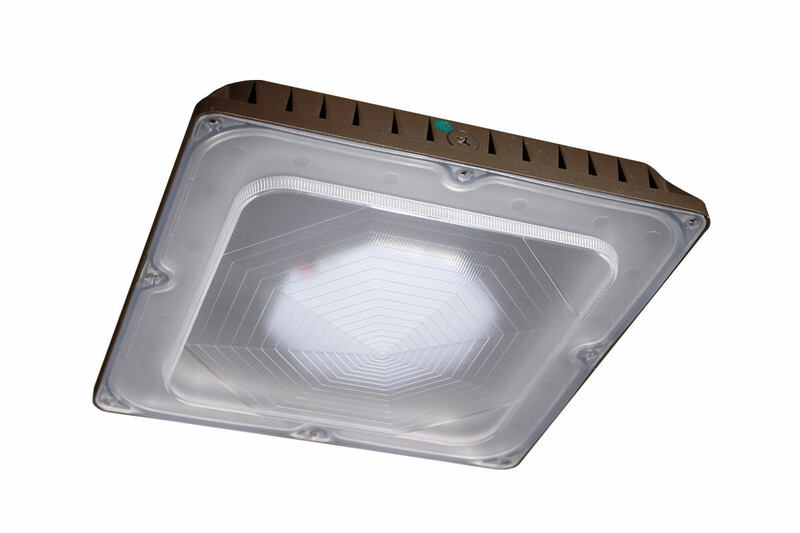 The luminaire can also be directly surface-mounted to canopies by removing the lens, drilling holes in the cast housing and screwing the luminaire to the canopy. A threaded hole on back of luminaire for ¾” rigid electrical conduit also provides for pendant mounting. A lumen output range of 4,948 to 9,548 means we can meet an abundance of foot-candle requirements. A 5000K color temperature keeps spaces bright and alert. Allows connection to external control systems for fast, simple operation.